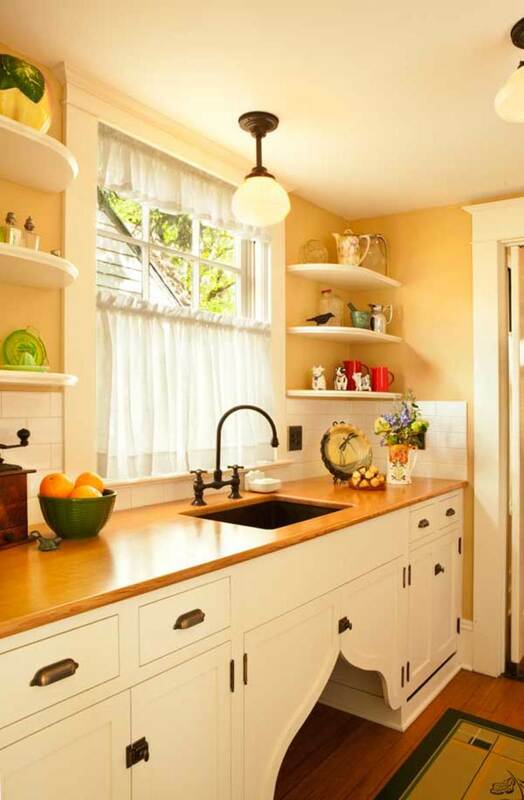 Untouched and unusable, a kitchen in Portland, Oregon, is sympathetically remodeled with elements of the 1910s. In the pantry, wood countertops surround a copper sink. 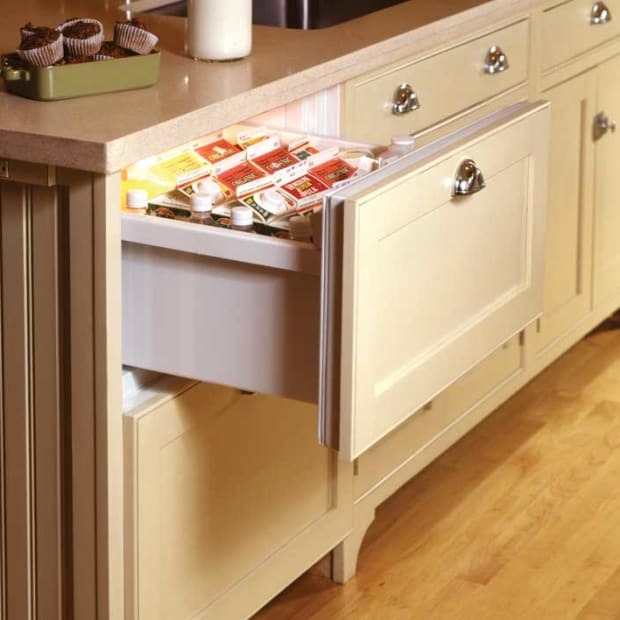 A dishwasher is hidden behind false drawer fronts. 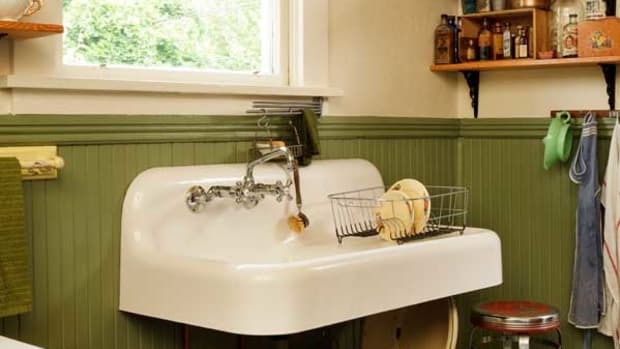 The “flipper doors” under the sink add a period touch. Chatting with the real-estate agent next door, Jack Young heard about a client shopping for a house smaller than the big Foursquare. While Sig was off to the beach for the weekend, Jack asked the agent how much their house was worth. 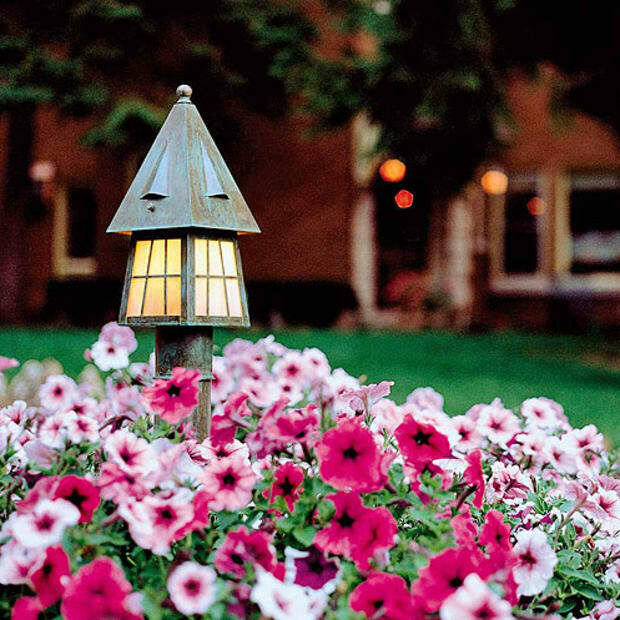 To make a long story short, Sig came home to find that the client had made an offer—on the Youngs’ house! The agent had also talked Jack into buying the Foursquare. It would be years until they got to the kitchen remodeling. “The back kitchen had been virtually untouched since the 1920s,” Jack says. It was one big room with no built-ins or cabinets and, oddly, a 6½&apos;-long sink that blocked the basement door. 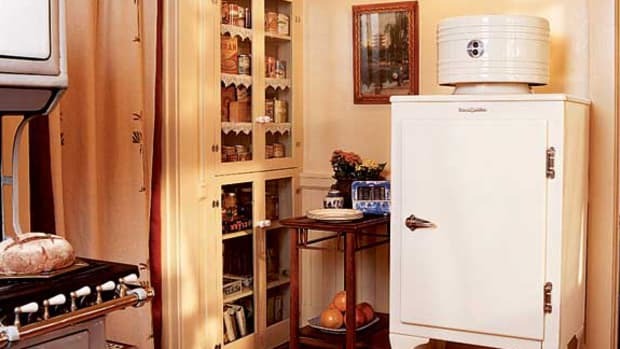 A separate butler’s pantry had been the functioning kitchen since the 1970s. “We agonized over what to do for years,” says Jack. Meantime, they removed wallpaper in the dining room, revealing signs of the original built-ins. Jack, who is a talented woodworker, rebuilt them with wood countertops. 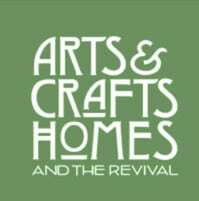 In August of 2011, Sig attended a photo shoot (for this magazine) at another Portland house, and there she met restoration consultant Karla Pearlstein. The two women chatted about Sig’s kitchen and made a date to meet there. Wires got crossed, however, and Karla showed up with five members of the kitchen-tour committee from the Architectural Heritage Center, who expected to see a restored kitchen. There was awkward silence at the sight of the architectural chaos. “It was exciting because the kitchen was so intact, including a milk pass-through and scored plaster walls,” says Karla, who suggested they bring in designer Matthew Roman and general contractor Mike Edeen of Artisan Woodworks. The three would collaborate to make the space usable, yet keep the feel of a 1910s kitchen. 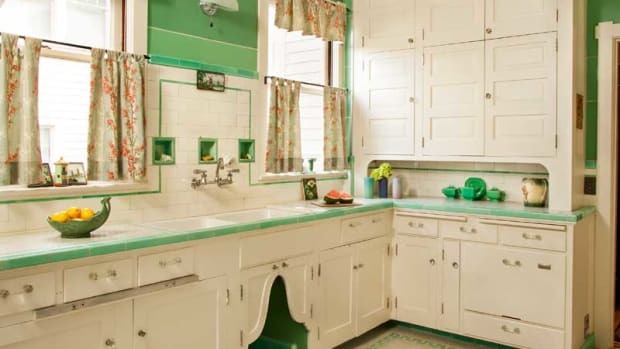 An old porcelain sink on legs, smaller than the huge one found in the kitchen, allows access to the door to the back porch. For the back kitchen, Roman had designed a full wall of cabinets to hide a refrigerator and a pullout pantry. Jack had entertained just such an idea, but “I didn’t have a clue how to do it.” Roman’s drawings had sealed the deal. This wall originally held a dumbwaiter and utility closet. 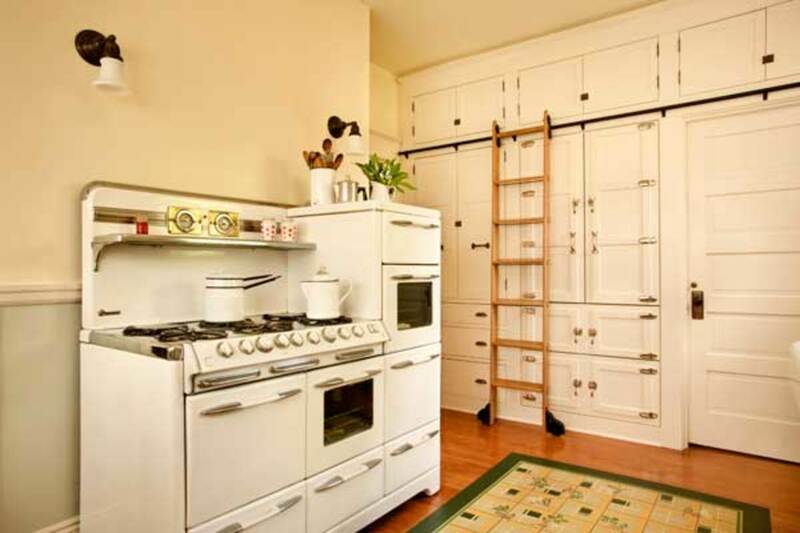 Owner Jack Young built the library ladder from a kit; it allows access to the upper pantry cabinets. Contractor Mike Edeen stripped the tall baseboards and repaired the plaster. 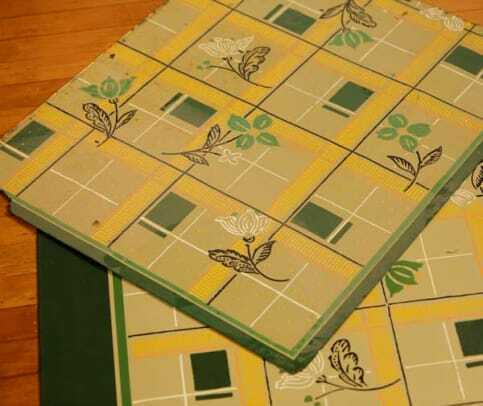 He refinished fir floors found beneath layers of vinyl and enhanced the room’s trim. 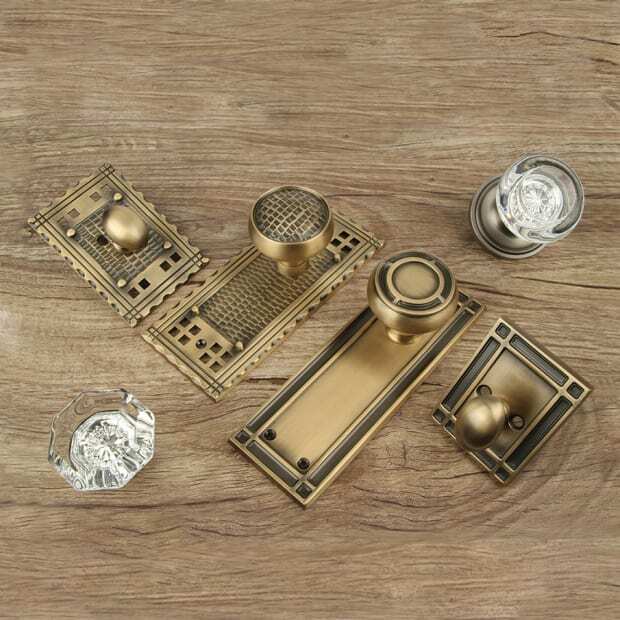 Then he built the period-inspired cabinets. “Mike is such a skilled craftsman,” says Karla Pearlstein, “that he can take Matthew’s drawings and articulate the subtleties.” Sig and Jack say they couldn’t be happier with how it all turned out. You’d hardly expect to find an Art Deco kitchen in a 1910 Craftsman—but this homeowner knew it had to be restored. For years, Rosalie Wampler and Michael Gill had tried to make the best of the badly remuddled vintage kitchen in their 1909 bungalow. 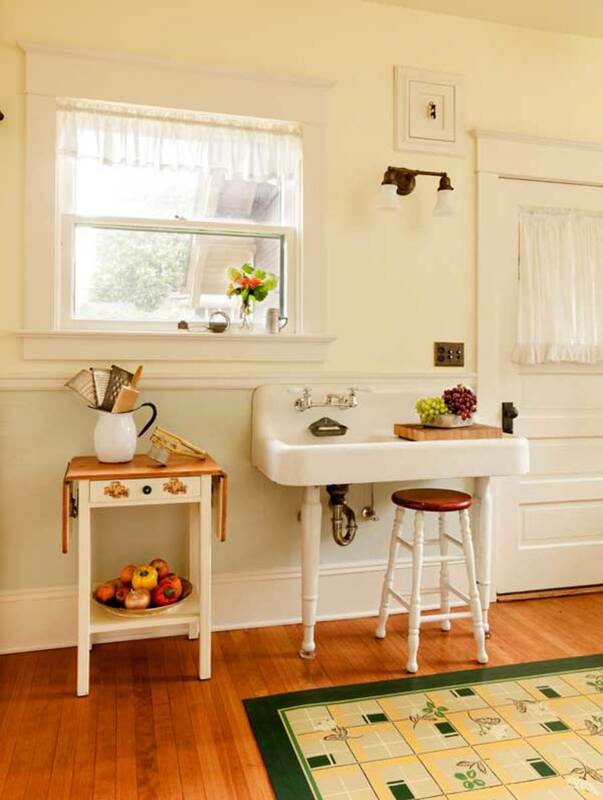 Cued by childhood memories, homeowners in Portland, Oregon, got expert help to re-create a more authentic kitchen in their 1914 Bungalow. With a pantry and restored gas stove, it’s also a practical room.